We have a few updates that we’d like to share with you. Many of you have given us valuable feedback on Smart Editor, so we based most of these updates on input from you. a. Encourage translators to use “Ctrl + Enter” to finish segments, both when doing translation and when doing post-editing. In Translation mode, “Ctrl + Enter” saves the segment and saves to the TM – and then moves to the next unfinished segment. In Post-editing mode, “Ctrl + Enter” only saves the segment. It does not save to the TM – and then moves to the next unfinished segment. 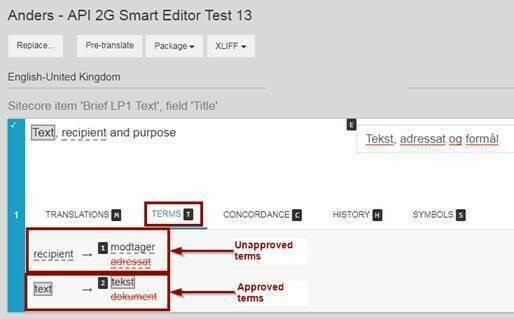 Smart Editor – expected by the beginning of January 2018. 6. 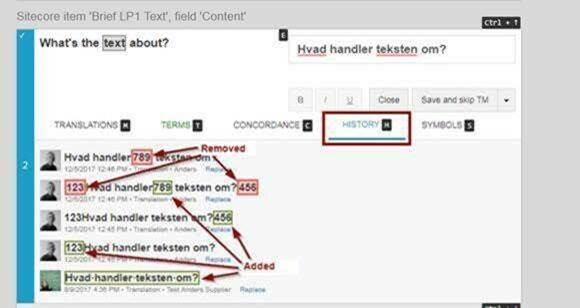 Ability to mark segments in proofreading and validation modes. 7. Highlight matches in concordance search results. 9. Term usage summary – in particular useful after the translator has gone offline and imported a return package.